and good-bye to the mosquitoes! Do you have any plans for September? 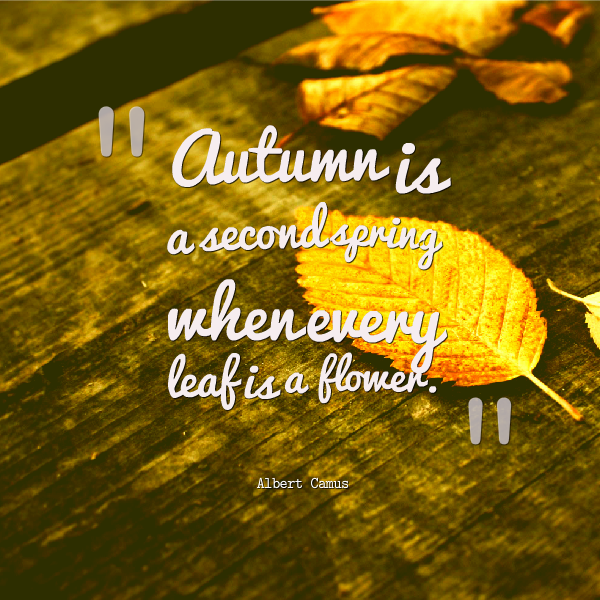 Is fall your favorite time of year, too? 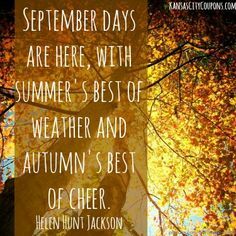 HOPE your first day of September is happy and blessed! Join us tomorrow for our Friday Foto Friends link-up! 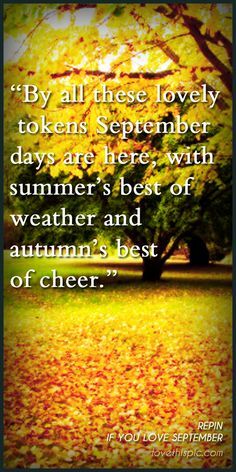 Holy Moly, it is September 1, where did the summer go? It def. feels like Sept. here this morning and todays high is only suppose to be 69. The last several days have been darn right uncomfortable. No plans for Sept, my friend, just school. I am like you, looking forward to cooler temps, apples and so on. My plans are to enjoy every day of September. September 2 is my hubby's birthday, the 10th my grandsons and 24th is my daughter's birthday, so there is lots to celebrate! The cooler temperatures and all the fall color is another thing to enjoy! Hope yours is a blessing to you,Deb! I think that fall is my favorite season - leaving the heat behind. The first part of Winter is as well because of Christmas but by January, I'm wanting warmer weather again. Spring is lovely but it is followed much too quickly by summer and then I'm looking forward to fall again! Have a blessed day. I say every year that the one and only thing (other than family & friends) I miss from "up north" is apple orchards. Oh how I miss apple orchards in October! September got here FAST!! We will start the month with a nice long holiday weekend that includes Joe's birthday!! Totally forgot to get a photo this week! grrr... :) I too love fall and look forward to it greatly this year! I am wanting to go to the orchard also and make fried apple pies and my husband found Barber's orchard in North Carolina a few years back and they have apple cider donuts and he goes over every year just for those (as much as we need them!). I love the colors of the leaves but I dread the cold coming. I love the fall. I am celebrating my 57th birthday this month.